WHY BUILD AN AIRPORT MAP IN 3D? 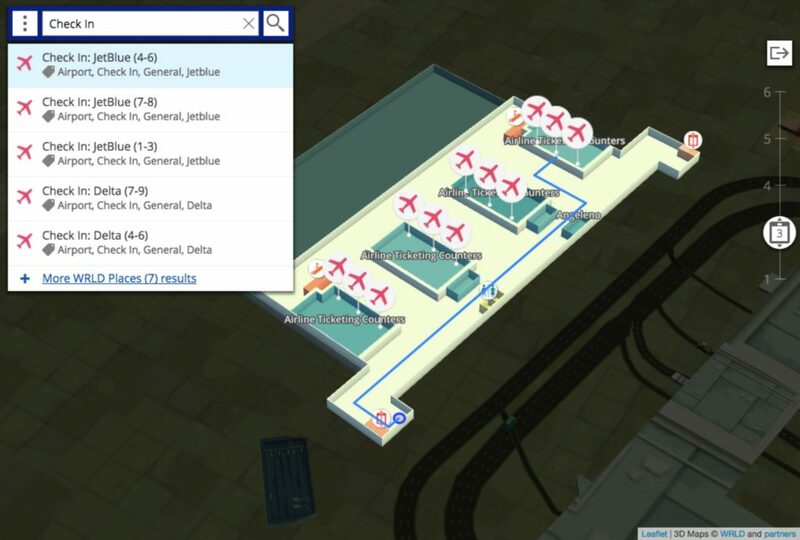 With 3D airport maps, you can create a more streamlined airport visitor experience, monitor employee traffic and building interactions. Build something that makes it easier for users to find terminals and departure gates, explore shops and restaurants on the concourses, and be notified of pertinent safety, airline or flight information. Depending on who views the maps, you can design separate experiences for travelers, airport employees, retailers, or airline operators based on the kind of data that is relevant to them, and then serve the needed version of the map in real time.